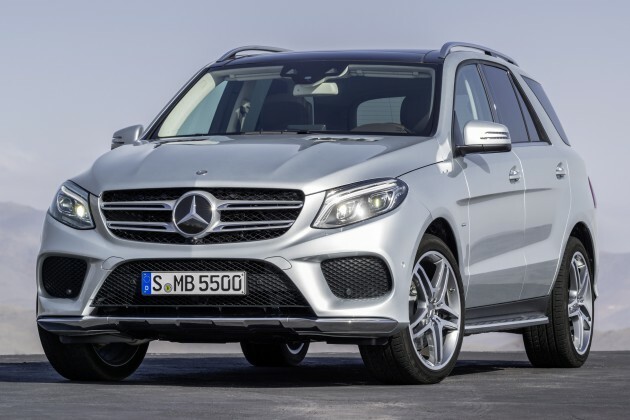 The Mercedes-Benz M-Class is no more – taking its place in Stuttgart’s SUV lineup is a heavily revised version of the current W166, now renamed the Mercedes-Benz GLE-Class. A close sibling to the recently-unveiled GLE Coupe, it gets a refreshed exterior and interior, new technology and a range of updated engines, including a plug-in hybrid variant. The completely updated front end brings the GLE in line with the rest of the current Mercedes range visually, and is taken almost wholesale from the GLE Coupe – the only thing separating the two from the front is the grille, which has two slats on the GLE rather than just one on the Coupe. The changes to the rear are rather more subtle, limited to new tail light graphics and a redesigned rear valence integrating visible tail pipes. Interior updates have also been carried over from the Coupe – there’s a new C-Class-style three-spoke steering wheel, redesigned centre air vents to accommodate the new tablet-like seven-inch screen for the COMAND infotainment system and flatter face buttons from the facelifted B-Class. The turbodiesels – a 204 PS/500 Nm 2.1 litre biturbo four-pot in the GLE 250 d and the 258 PS/620 Nm 3.0 litre V6 in the GLE 350 d have been carried over, but they have been updated to produce fuel consumption figures of 5.4 litres per 100 km and 6.4 litres per 100 km respectively. Both oil burners are mated to a 9G-Tronic automatic transmission with an optional off-road reduction gear and inter-axle differential lock. On the petrol side, the 333 PS/480 Nm 3.0 litre twin-turbo V6 in the GLE 400 remains unchanged save for new piezo injectors and now delivers a combined fuel efficiency figure of 8.8 litres per 100 km. There’s also an uprated 4.7 litre twin-turbo V8 in the GLE 500 that now develops 435 PS and 700 Nm. At the top of the range sits a new GLE 500 e plug-in hybrid. It uses the same 333 PS 3.0 litre V6 from the GLE 400 but pairs it with a 116 PS electric motor and a lithium-ion battery, resulting in combined outputs of 442 PS and 650 Nm, a fuel consumption figure of 3.3 litres per 100 km and CO2 emissions of just 78 grams per kilometre. The variant also offers up to 30 km of all-electric motion, at speeds of up to 130 km/h. A new rotary controller on the centre console selects the driving modes on the new Dynamic Select system. Four settings – Individual, Comfort, Slippery and Sport – are available, and models equipped with 4Matic all-wheel-drive (standard on all but the base GLE 250 d) get an extra Offroad mode. Specifying the optional Off Road Engineering pack nets an additional Offroad+ setting to increase the ride height to 285 mm. Agility Control steel suspension is offered as standard, while retuned Airmatic suspension with ADS variable damping is available as an option (standard on the GLE 500). 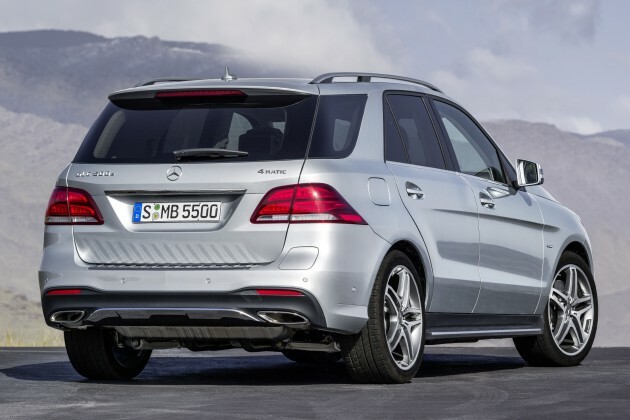 A roll-stabilising Active Curve System is offered on the GLE 350 d upwards. New standard driver assistance systems include Collision Prevention Assist Plus and Crosswind Assist, while an optional Driving Assistance Plus pack adds Distronic Plus with Steering Assist with Stop&Go Pilot, pedestrian-detecting Pre-Safe Brake, BAS Plus with Cross Traffic Assist, Active Blind Spot Assist and Active Lane Keeping Assist as well as Pre-Safe Plus. Other options include an powered Easy-Pack tailgate, Active Parking Assist with Parktronic and a COMAND Online infotainment system with a larger eight-inch screen. Wow what an idiotic comment…what would you know about cars hahaha…when your country invents or engineers something even remotely close to German cars then speak up. Until then stick to rickshaw.